Asianet Announced The Premier Films Line Up For Easter and Vishu 2014. Idukki Gold , Philips and the Monkey Pen , ABCD ,Pullipulikalum Aattinkuttiyum , Sringara Velan , Geethanjali , Vishudhan , Hotel California and Nadodi Mannan and Kadal Kadannoru Mathukkutty (Already Premiered) are The Films. These are Premier Film List for Asianet Vishu Season 2014. Asianet Is Premiering Mohanlal, Dileep, Kunchacko Boban Films for The Season Vishu 2014. 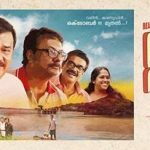 The Biggest Film in Asianet Library is Drishyam, Its Expected for Onam 2014.Amrita TV’s Vishu 2014 Premier Films Also Posted Here. Surya TV , Mazhavil Manorama and Kairali TV Films Will Post Here Soon. Is kadal kadannu mathukuty and nadodi mannan are premiers?